Not added a new post for a few weeks. Mainly I have been busy with work but when the snow has been good I have been taking full advantage of it. 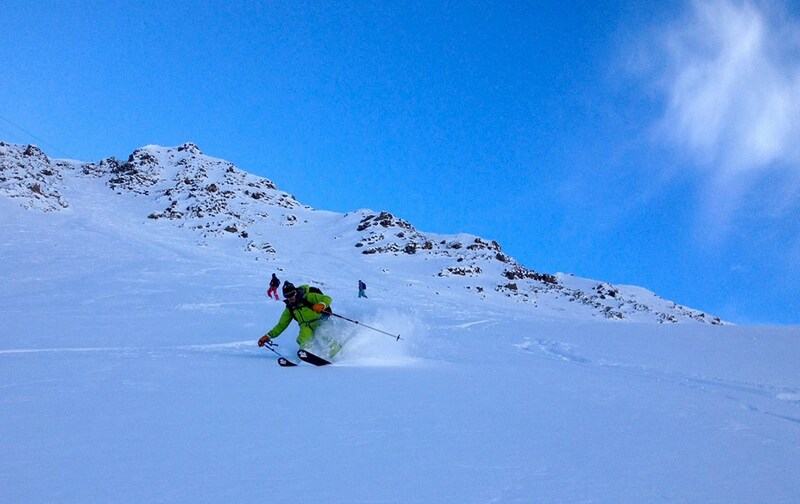 A couple of nice day trips over to Courmayeur before Christmas to ski some nice couple of day old powder. The resort has a good amount of snow now and it is all open. A short hike from the Cresta D’arp cable car and you can access some nice north facing couloirs. They had been skied but were still really good. 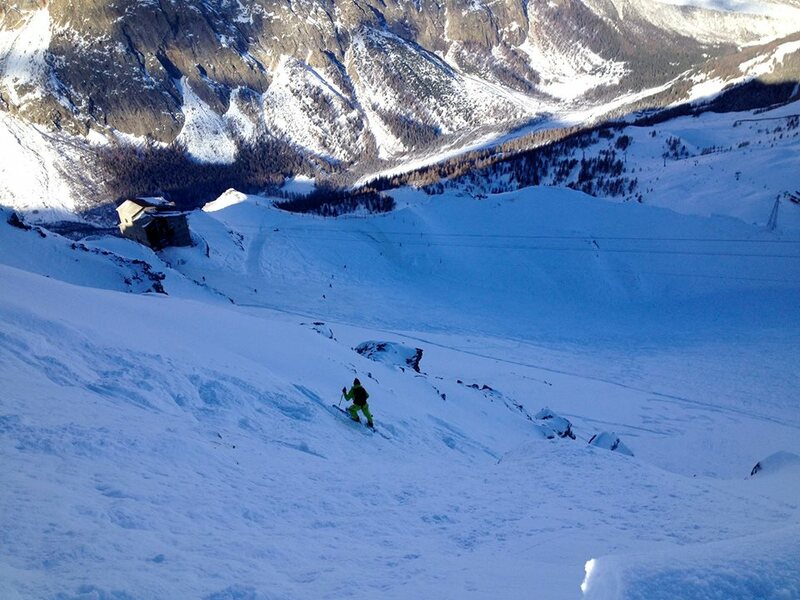 There are a few more couloirs below the cable car below that that were also good. 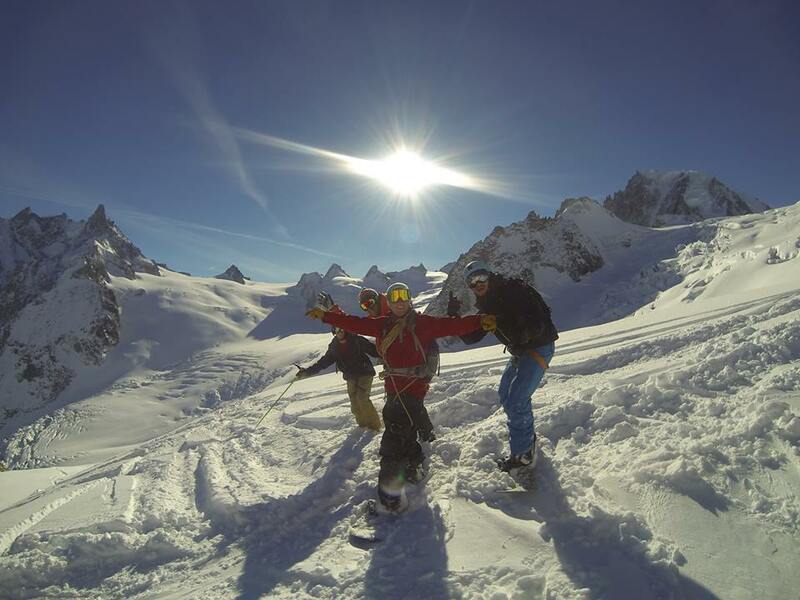 New Years eve saw my first trip skiing up the Aiguille du Midi since October! With fresh snow falling a couple of days before we knew it would be good. Reports coming in from friends said that it was possible to ski out to Montenvers but there were some big holes so we had to watch out. Heading down the Arete with Seb and Tyler, Both had never worn crampons and there was no rope, took a while but we made it down safe. We then headed towards the Petit Envers as it looked like we could get some nice snow in the shade of the Petit Rognon. 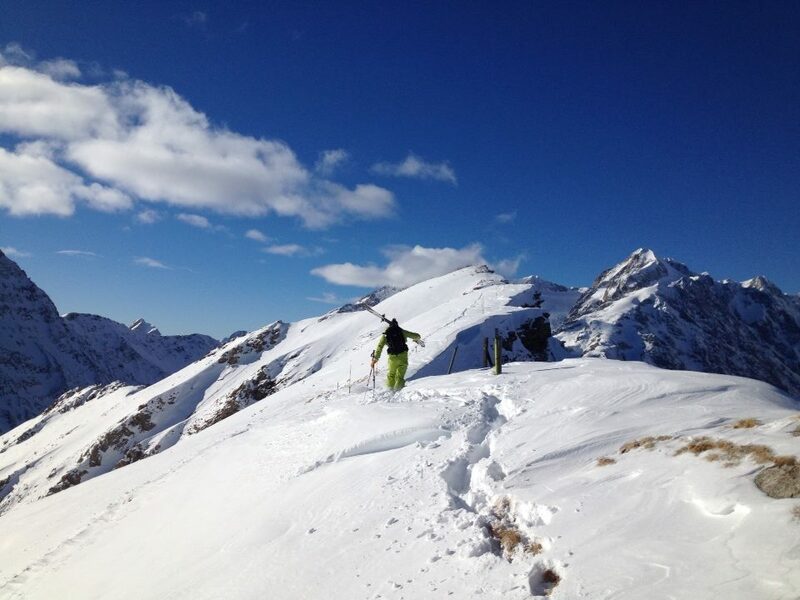 Some great pitches of skiing before we got to the shaded part and we all had smiles on our faces! 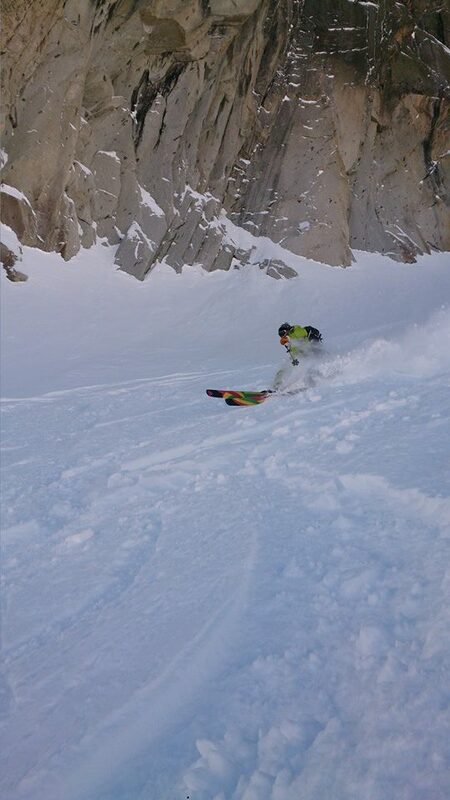 We were then rewarded with some amazing cold powder in the shade skiers left of the Rognon. there was a few tracks but loads of fresh still to be had. The going was fine after that until we had to cross over below the seracs du Geant. 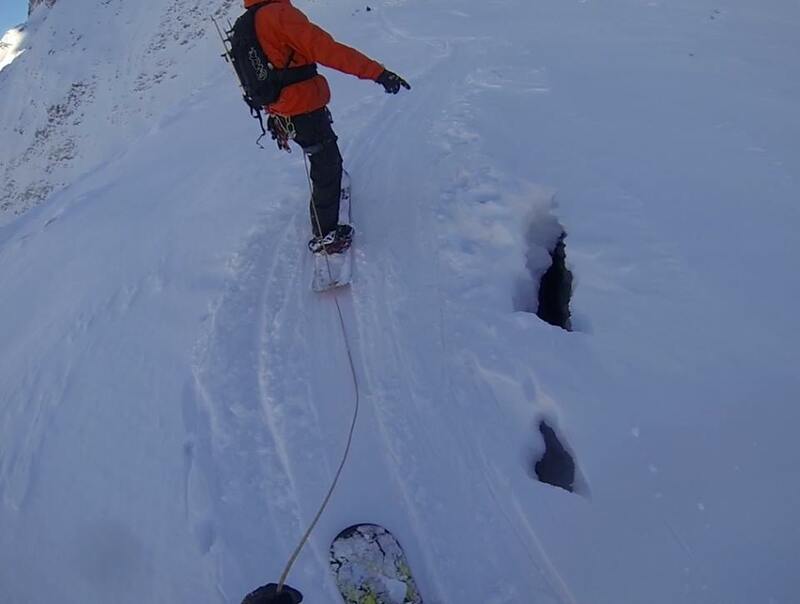 There were some big holes and narrow snow bridges. It was fine for skiers but the three boarders in our group had to rope up and ride one footed for a short distance, going very close to danger!! It was fine to ski to Montenvers and get pretty close to the ice caves. 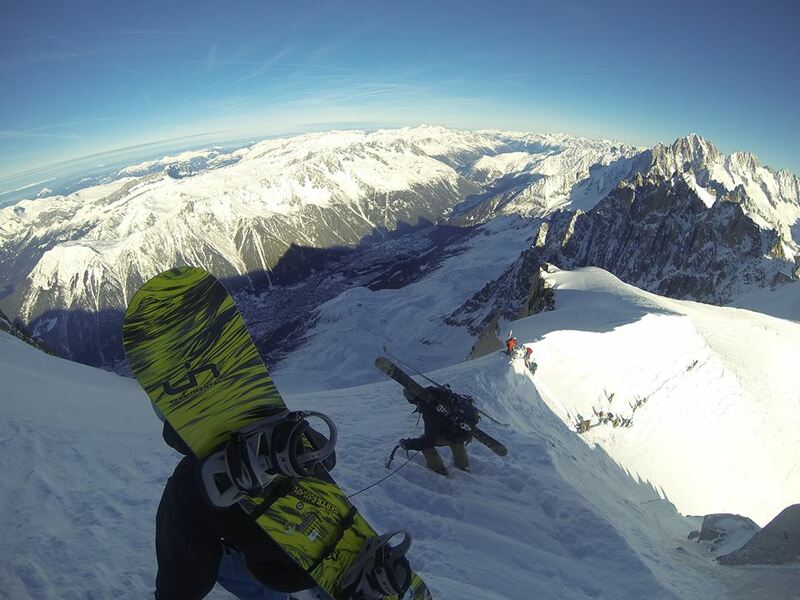 A great first ski of the Midi for 2014.